ANALYSIS: Proponents hope speed will succeed in opening the Arctic National Wildlife Refuge to drilling where other attempts have failed. But opponents see an opening for legal challenges. Speed is of the essence when it comes to getting oil and gas exploration approved for the Arctic National Wildlife Refuge, according to the Trump administration. The Department of Interior has set its sights on completing an Environmental Impact Statement and holding a lease sale by next summer, which is ambitious by any measure. Work that has taken years in the past should be wrapped up in months, which should clear the way for the oil companies to move in. The Interior Department has hired a Colorado company, Environmental Management and Planning Solutions, to get the environmental work done pronto. This means the government is relying mainly on studies and reports that have already taken place on potential impacts to the 1.5-million-acre coastal plain. The desire to run at full throttle and use old data may be the biggest weakness in the oil-friendly plan, which could end in a long court case. “A rushed process is not consistent with DOI’s legal obligations when considering an issue as important and controversial as destructive oil and gas exploration and development on the Coastal Plain,” officials from 24 environmental groups said in public comments to the Bureau of Land Management. After decades of losing, drilling proponents have gained momentum, with Pres. Trump and Congress united in pushing for oil development in the refuge as soon as possible. The Alaska Congressional delegation inserted language into the Republican tax cut bill late last year that approved development in the refuge. As the rush continues, the environmental consultant hired for the ANWR study is not about to contradict Congress and the White House by suggesting that the preferred alternative be “no drilling” or that more study is needed. At his campaign rallies, Pres. Trump continues to mention that opening ANWR was one of his top accomplishments, “one of the great drilling sites in the world” and boast that not even President Ronald Reagan got it done. Under the tax law, two lease sales are to be conducted by 2024, each covering at least 400,000 acres, but drilling supporters worry that any delay will increase the risk that the oil development plan could be killed by a future Congress or president. Drilling opponents have already signaled their potential legal arguments, which center around the administration’s sped-up timeline. They say the administration has failed to allow enough time to conduct the scientific and social research necessary to comply with a dozen major federal land laws and other rules. The ANWR language in the tax law did not repeal any existing laws about wildlife refuges and the goal of preserving wildlife, habitat and protecting other values. “Procedural integrity, not political expedience, must drive the timeline of this unprecedented effort,” Geoffrey Haskett, the former director of the Fish and Wildlife Service in Alaska under Pres. Obama, warned Interior Secretary Ryan Zinke in a letter in May. Haskett is now president of the National Wildlife Refuge Association. 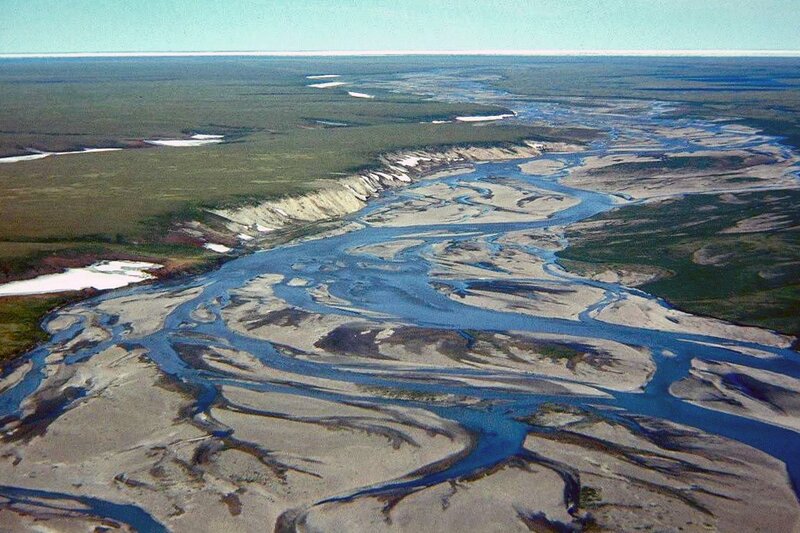 In a 195-page document submitted to the Interior Department as public comment, the environmental groups claimed that a substantial amount of ANWR baseline data is either missing or out of date. Without this information, it will be impossible for BLM to do an honest job, they said. There certainly was no effort during the Obama administration to prepare for oil exploration in ANWR, so the Trump administration is dusting off whatever old reports it can find on everything from air quality and polar bears to snow cover to make its case. The Interior Department told its contractor to check the site www.northslopescience.org for reports on the refuge, but there is little new research on that site focused on ANWR. There is a 36-page summary of research from 2002-2017 that includes many documents based on the entire region, with data gathered across the Arctic. The summary doesn’t mention gaps in research, but the record is skimpy, which will make the compressed deadline vulnerable in court. Both the timeline and the page count should be expanded beyond the arbitrary numbers set by the Trump administration, critics contend. That’s not about to happen, so it will remain a point of contention. “This overly strict timeline limits the chance for multiple-year surveys that are needed to understand impacts to wildlife populations and habitat, surface resources, recreational use trends, economic impacts, adverse health impacts on local communities, and subsistence impacts inherent in this proposed project,” the environmental groups said. The National Environmental Policy Act “cannot be applied in this manner,” they argue — an argument that is likely to be a centerpiece of the opposition as court fights await, while the administration prepares for a lease sale in 2019.